help you crush your biggest competitor — you. 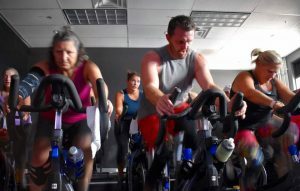 At Turn & Burn, our motto is “Fitness, Fun, Friends” because we are in it TOGETHER, creating a community of support, encouragement and FUN while getting our sweat on and burning some calories. Our instructors are committed to creating a top-notch experience for YOU to achieve your personal goals for well-being and health. Each class is designed to be a fun, full-body workout set to inspiring music allowing you to focus on YOU for the short time we are together. This full body workout will test your mind and body. You never know what FUN you will encounter! Appropriate for all levels and a great complement to sore and tired muscles! If you are looking to energize your body and mind with breath and movement, this is the class for you! Our cycle studio uses Stages Flight technology which allows you to track your heart rate, calories burned, and true power. Your statistics can be displayed on the studio screen and/or sent to you privately via email or text. This allows you to measure your own progress during the Turn & Burn journey. I love the variety in workouts everyday! You don’t find yourself doing the same thing! The trainers are amazing! It’s worth the money and time! Glad I joined!! I have been going to Turn & Burn for about 2 months now and I love it! The people are so nice, all of them! The staff, instructors, owner, fellow members, challengers, everyone. Class times work well for me and it is really conveniently located at exit 4/ Berwick Town Center. Come check it out if you are interested! it’s a very clean studio and supportive environment to challenge and grow your mental and physical strength! Absolutely love this place and there is nothing like it ! From the first day I walked in Wendy welcomed me and made me feel at home and that I could do anything! Every instructor cares about you whether you’re in boot camp, spin, barre, or yoga class. The people are so encouraging and make the classes enjoyable to be in. I love that there is all levels of fitness and ages. It’s such a great environment I even got my 62 year old mother (who had never worked out) to start going. I am so thrilled with my decision to join turn & burn back in May! I joined the 6 week challenge to try to loose weight and build better eating habits. Over time I’ve gotten stronger and was able to build a lot of confidence. I use to avoid going to boot camp because it terrified me, but now I love to go and it became one of my favorite classes. Joining the 6 week challenge has been a great decision and it truly shows results. I’ve lost almost 18 lbs, gained better eating habits, built confidence and the journey isn’t over yet. The 6 weeks is over but I’ll continue to do everything I’ve learned! Plan to join us for FREE classes on Saturday, April 13th as we release new music and choreography for our licensed programs. 9:00-9:45am Les Mills RPM with Wendy & April O. 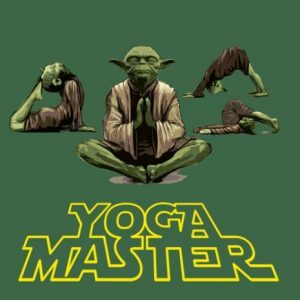 10:00-10:30am Les Mills Sprint with Wendy & April N.
“May the 4th Be With You” Workouts and JEDI YOGA: Saturday, May 4th. Join us as we journey through the galaxies in our Star Wars themed freestyle cycle class or bootcamp class. Or come to our special JEDI YOGA at 10:35-11:35am and bring your favorite wookie (child)! $5 members, $10 non-members. Sign up to reserve your spot! STRONG SATURDAYS return May 11th and May 25th at 10:35-11:35 am. 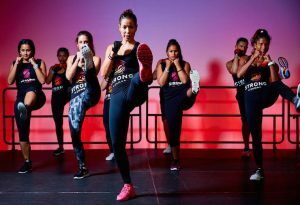 Strong by Zumba is a HIIT (High Intensity Interval Training) workout designed for all fitness levels but guaranteed to get your heart pumping and the calories burning! Free to members, $5 non-members. Sign up now! 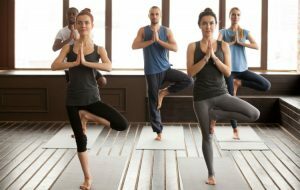 Hot Yoga can increase flexibility, detoxifies your body, promotes mindfulness and boosts the mood! A great class for beginners or seasoned Yogis! Prepare to twist, strengthen and sweat! Sign up here!